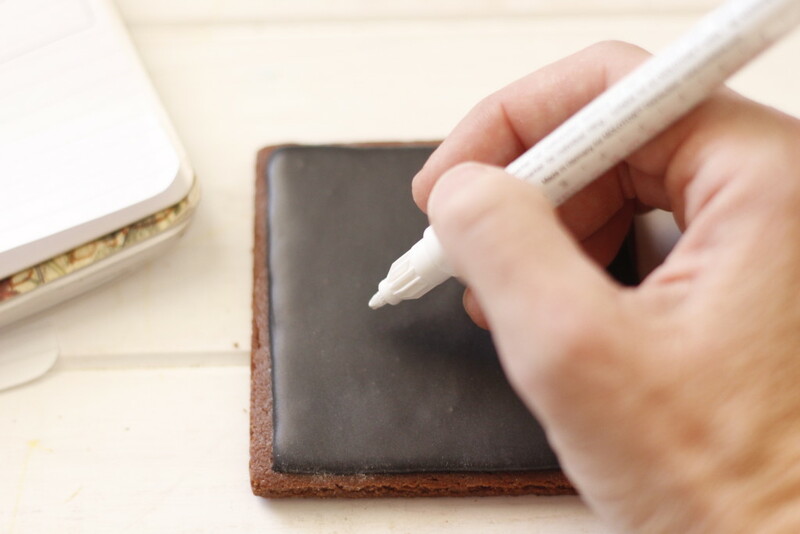 You might remember a few months ago I shared a way to make a white food color marker. 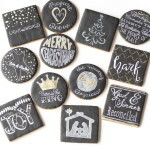 One of the main reasons I went about discovering that little beauty was so that I could succeed in making chalkboard cookies (since I can’t paint and all the tutorials involve painting.) 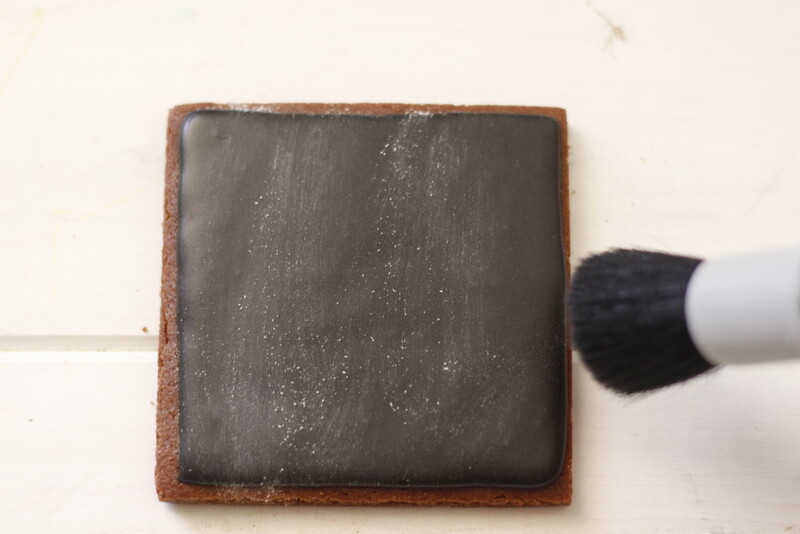 However, I really haven’t done much experimenting with chalkboard cookies for one reason… BLACK ICING. 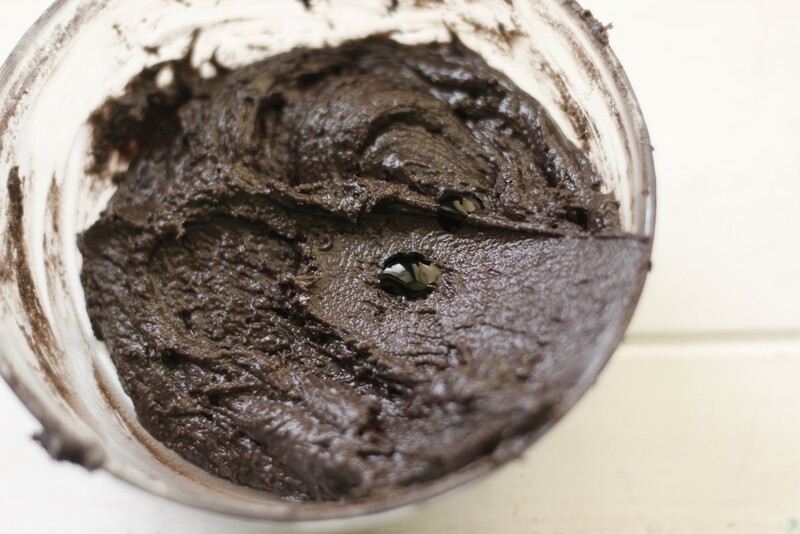 Why is black icing so dreaded, you may ask? 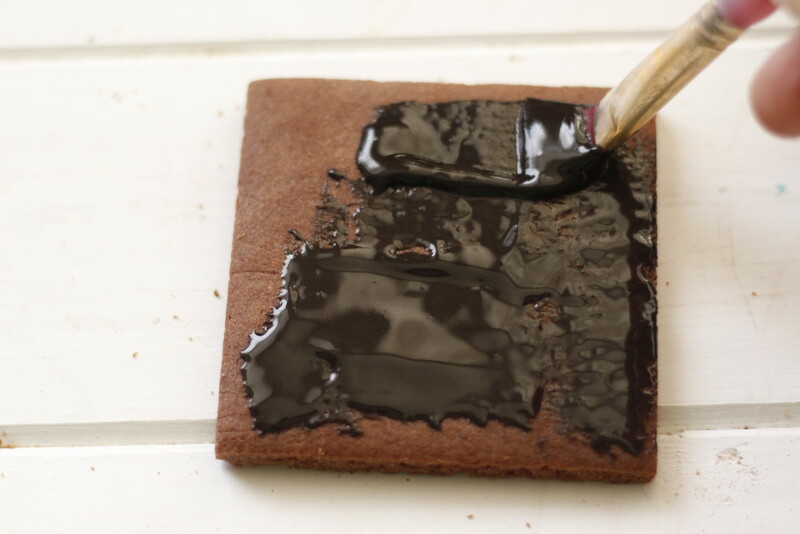 Well, you have to use about 3/4 cup of food coloring to get icing that is black and not grey. And that coloring comes back to “bite” you when the recipients of your cookies smile after their first taste. (Is this some sort of practical joke?) Not many people like the black teeth look. Plus 3/4 cup food coloring just can’t be healthy. Luckily the solution presented itself at Cookie Con this year. 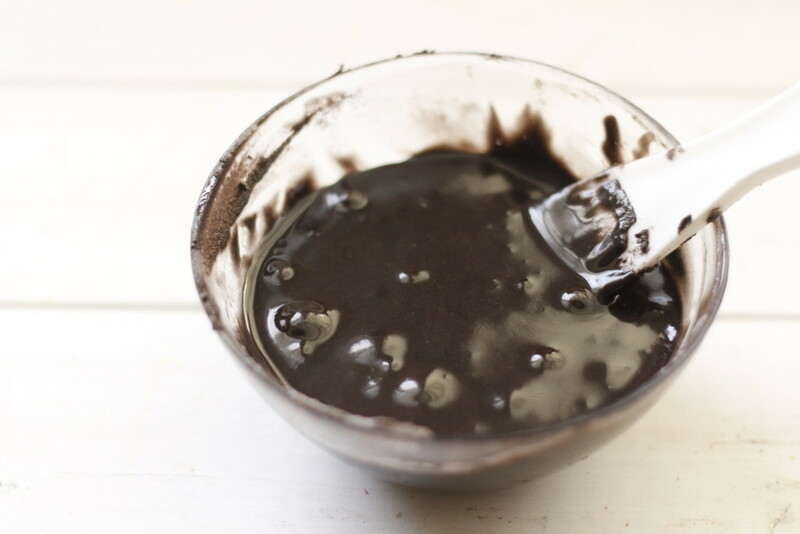 The Cookie Cowgirl aka Monica Holbert made an offhand comment about using black cocoa powder to color icing black. 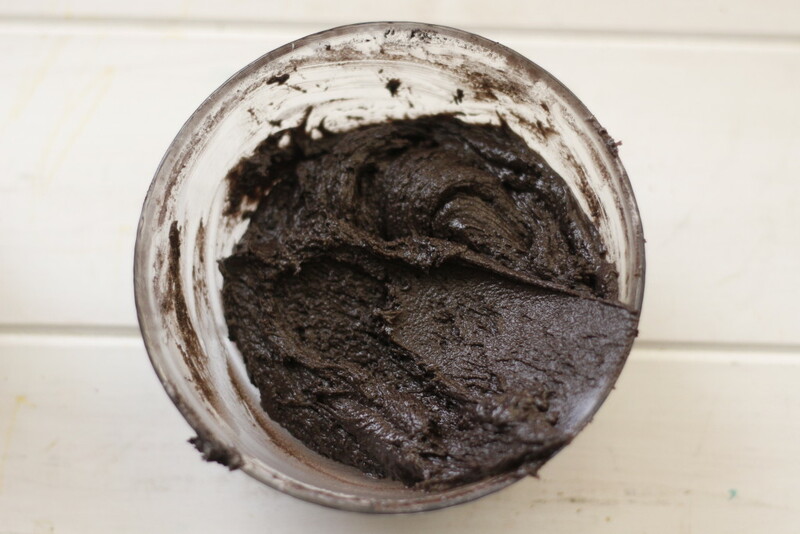 I’d never heard of black cocoa powder before. The Amazon sellers of the stuff must have wondered what in the world was going on when their entire stock was purchased by 400 different customers in the 12 minutes after her class. Obviously, I was one of the buyers. This weekend I wanted to make some thank you cookies for all the ladies with whom I’ve been working in our church’s youth group for the past 3 years. I thought it would be the perfect time to do a little experimenting. 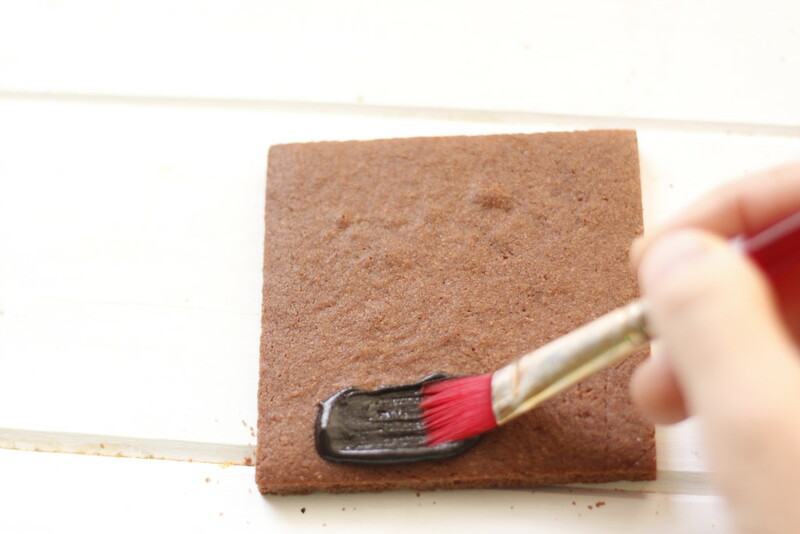 You can make chalkboard cookies using a white food color marker too! If you haven’t already made yourself a white food color marker, then I would head to that post and get that done. Seriously. I couldn’t make these with a paint brush. 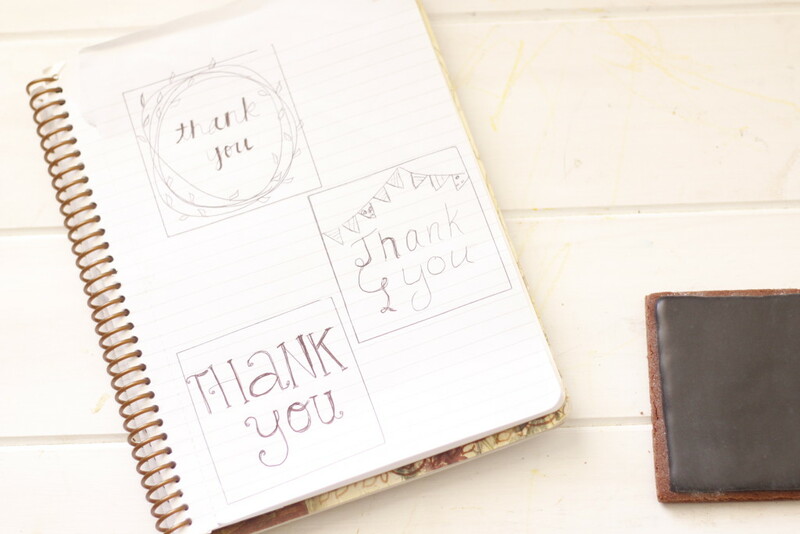 Once you have your super awesome pen, I would start sketching our your ideas. I’m a sketchy sketcher because I can’t sketch. (I can’t even draw stick figures.) But I can write (I credit the scrapbooking craze for this talent.) It was very helpful to figure out how big the letters should be and the spacing etc. (Make sure you use a tracing of you actual cookie size, so your sketching will be actual size. You can copy fonts or just make your own ideas. If you need a little inspiration, I would suggest a little site called Pinterest. 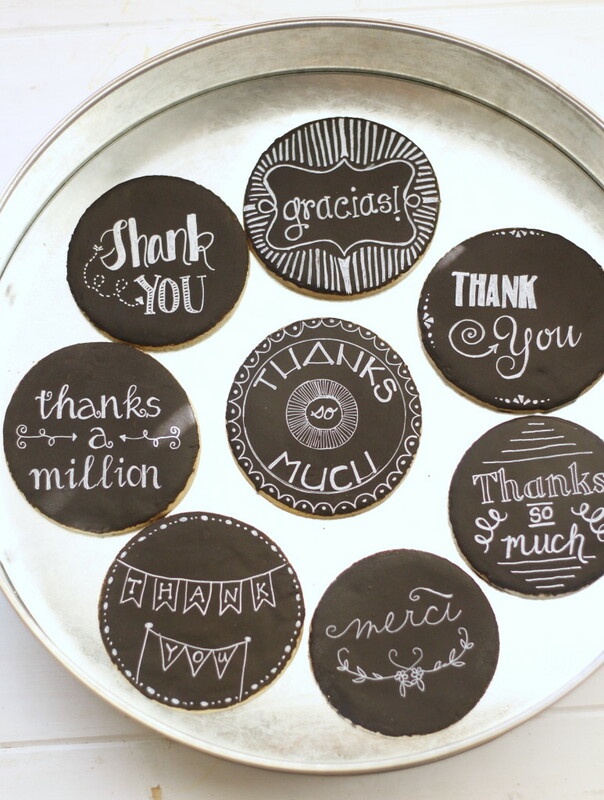 Designing your chalkboard cookie begins with what you want to write. In my case I was going with a “thank you” theme. Decide how many lines of text and the layout. Centered, offset, big words, little words etc. Bigger and bold words are usually the focal point. Next you choose your fonts. Have fun with this. It is fun to pair different fonts. Swirly, blocky, serif, san serif, flowing, handwriting, uppercase, lowercase. Whatever. 2-3 fonts is probably the max. The final step is to add embellishments. This is the hardest part for me. Embellishments can be simple or complex. But they really add character and the “chalkboard” look. I searched Pinterest and also found a bunch of dingbat fonts for ideas. There are swoops and swirls, lines, laurels, flowers, arrows, banners, buntings. All sorts of stuff. This is easier for the artsy folks. 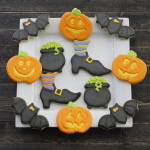 Once you have your design, you can make cookies. Then once the cookies are done you can begin on the icing. I added one small drop of black coloring to deepen and even out the color. (To achieve this color with food coloring alone, would take A LOT of food coloring.) 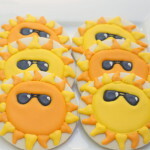 And just so you know, my two year-old snatched one of these cookies. And the only way I discovered his thievery was that I found the remnants of that cookie. NOT because his blackened mouth sold him out. Here it is after I thinned it to a flood consistency. From here you have two options. You can pipe and flood the cookies like you would normally (this is how I made the first batch.) But I found that the cocoa powder made the icing a little more fragile. It was a little more powdery and chalky. I found that the thinner the icing was, the better it held up while writing on the cookie. Painting a very thin layer, then waiting until it dried and painting another thin layer worked very well. I didn’t break through the icing with my pen and cause big divots and craters this way. The next step is completely optional. 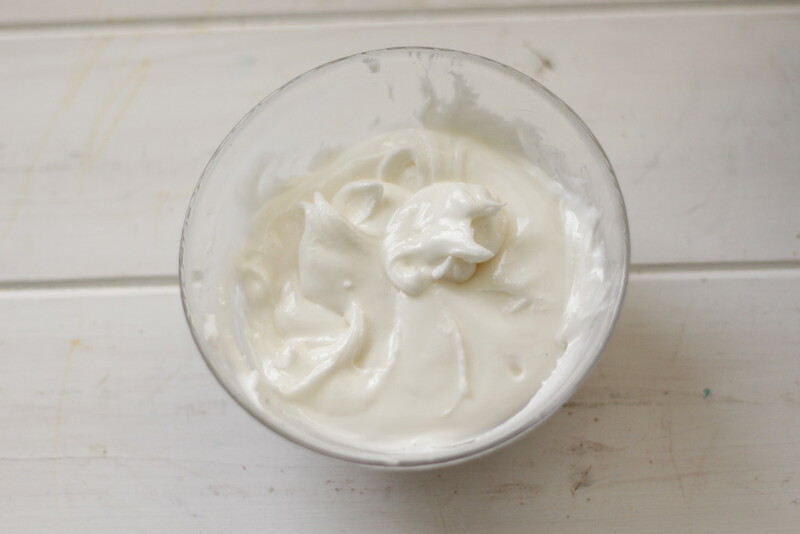 You can brush a little corn starch over the dry surface of the icing, then brush the excess off. This will give it a little more “seasoned” chalkboard look and not such a stark black look. Don’t skimp on the drying time. 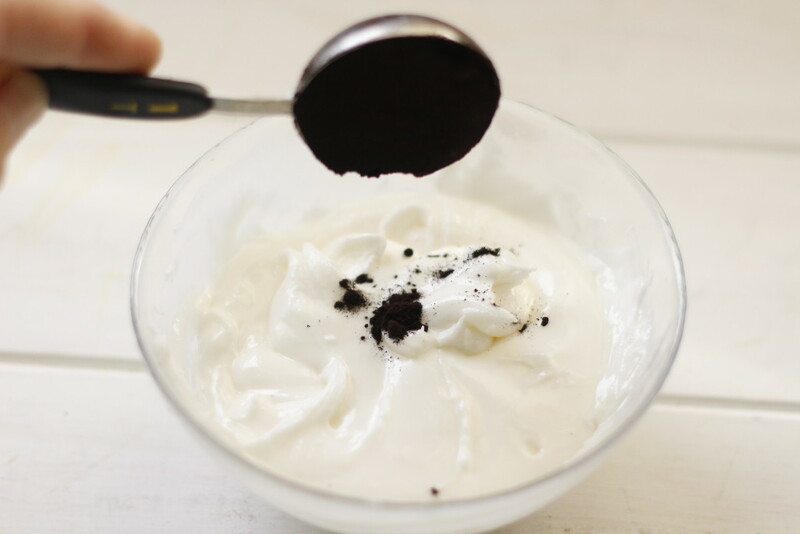 If the icing isn’t completely dry, you will break through the icing with the pen. You will be frustrated and the cookie won’t look real great. I’d give them at least a few hours if you paint them and at least overnight if you pipe and flood them. 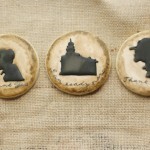 Once you’ve given them plenty of time to dry, you are ready to get writing. A few tips I have for freehanding a design. 2. I write it in a fairly bare bones outline, then go back in and fill in parts that need to be thicker and connect letters that need to be connected. Typically in a handwritten font, the downstroke should be thicker and the upstroke should be thinner. I just learned that, hot diggity. 3. 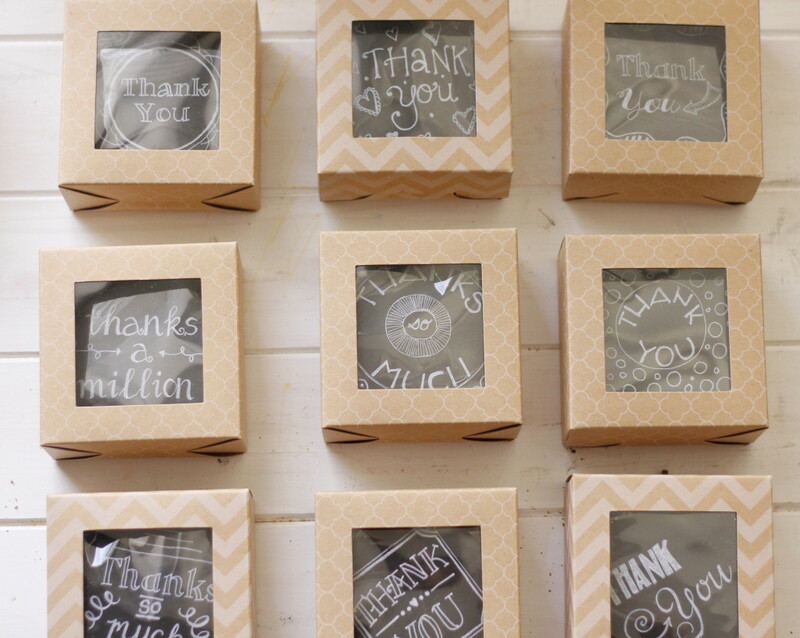 Use cookie cutters to make lines, outlines and shapes. That’s how I made many of the frames on the cookies. 4. Look up chalkboard and dingbat fonts. Use them for inspiration. 5. Make sure your reference materials are right in front of you, so you can refer to them and keep yourself on track. 6. Have fun. 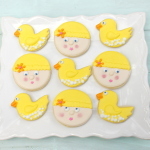 A few smudges or imperfect letters just add to the character of the cookie. Wanna see one in the making? Here’s the finished gift boxes. Do you just want to squeal? I certainly do! I know you have at least two questions about these cookies. 1. Did you freehand these or use a projector? Both. I did half freehand and half with a KopyKake. You might be surprised which ones I did with or without the projector. 2. Did your marker really make that fine of lines? Yes! While it isn’t perfect and sometimes you have to turn the pen this way and that or change the angle of the pen, once you get it flowing well, it will make very fine and precise lines. What is awesome is that you can make fine lines, but you can also use the pen to fill in areas and make thin lines thicker. I made about 3 dozen cookies and I rinsed out my pen tip once. It took about 13 seconds and I was back to writing and drawing. Notice in the video how the back of my left hand has lines of white? If the marker isn’t flowing well, I will draw a few lines on the back of my hand to get the food coloring flowing again. I also pump the marker on the back of my hand too. 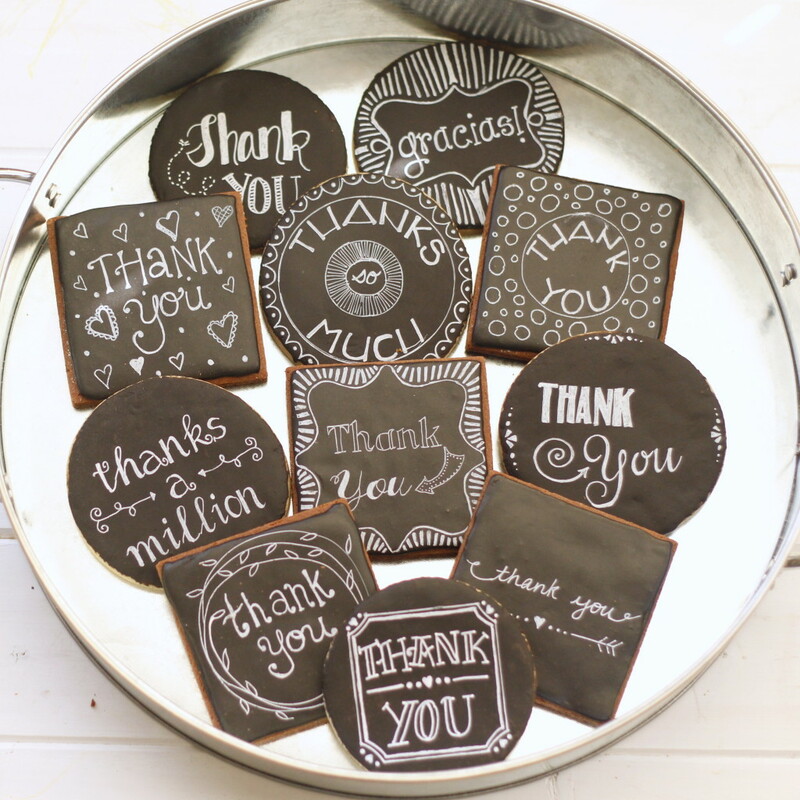 I hope you will try to make chalkboard cookies using a white food color marker. Especially if you haven’t had much luck with paintbrushes like me! These are the cutest of ALL ! ! ! Omg I love reading your posts. You write just like you talk. Hilarious. And also very informative at the same time. Thank you! That is actually a nice compliment! I try to write like I talk!